“The Wartburg Choir in Germany: Celebrating 500 Years of the Reformation” will premiere on the Wartburg College campus Sunday, Oct. 15. The one-hour documentary will be shown in McCaskey Lyceum in the Saemann Student Center. 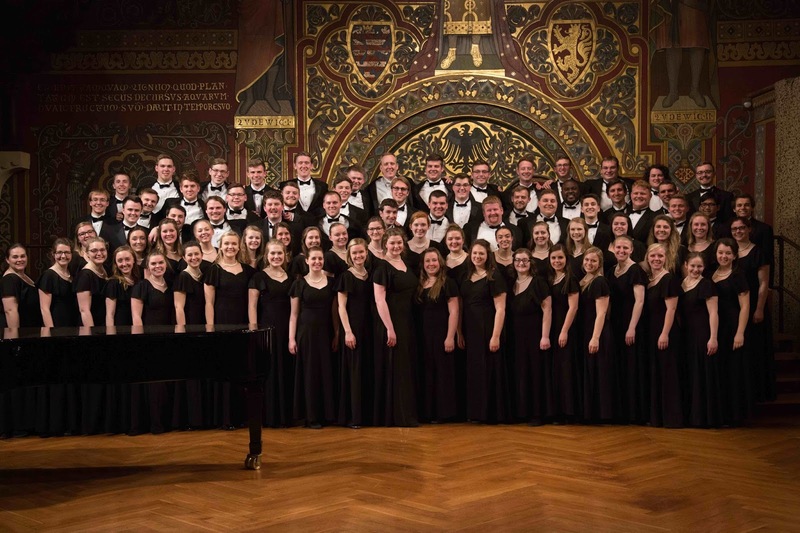 Doors will open at 7 p.m.
“The Wartburg Choir in Germany” follows the choir on its May Term tour through several German towns with strong ties to the college and the Reformation, including Wittenberg, Eisenach and Neuendettelsau. The video project was funded by Mike and Marge McCoy and Bill Hamm. The McCoys also accompanied the choir for much of the 13 days of taping as part of an alumni tour led by the Rev. Larry Trachte, retired Wartburg pastor. “There was so much excitement on the tour, knowing that there was going to be something wonderful at the end of it that we all would be able to enjoy for years down the road,” said Marge McCoy. Though the McCoys attended five Wartburg Choir concerts in Germany, they are still excited to see the documentary. The documentary includes 13 songs, including “Ein feste Burg ist unser Gott” and “Ain’t No Grave,” performed in locations like the Wartburg Castle and the Castle Church in Wittenberg. “This was a once-in-a-lifetime opportunity for the students and for the college. It was a tremendous honor to have the choir sing in these incredible venues during the historic 500th anniversary of Reformation, and having the sights, sounds and emotions captured so beautifully on camera is a treasured gift,” said Lee Nelson, Wartburg Choir director and the Patricia R. Zahn Chair in Choral Conducting. A trailer is available online at http://bit.ly/WartburgChoirFilm.